Product prices and availability are accurate as of 2019-04-26 13:58:37 UTC and are subject to change. Any price and availability information displayed on http://www.amazon.com/ at the time of purchase will apply to the purchase of this product. At this time you are viewing Pet Gear Happy Trails Lite No-Zip Pet Stroller in Pine Green which is one of our several available strollers from the brand Pet Gear. Choose this awesome stroller now or search through our store for other similar options. Pet Gear has really "raised the bar" with our new Happy Trails Lite NO-ZIP stroller. No zippers means no hassle when trying to open and close the stroller. Our new NO-ZIP technology means that you can easily gain access to your pet without fumbling with difficult cult zippers! The Happy Trails Lite NO-ZIP stroller also features an elevated paw rest. Your pet can easily look out of the stroller by using the front bar for support. 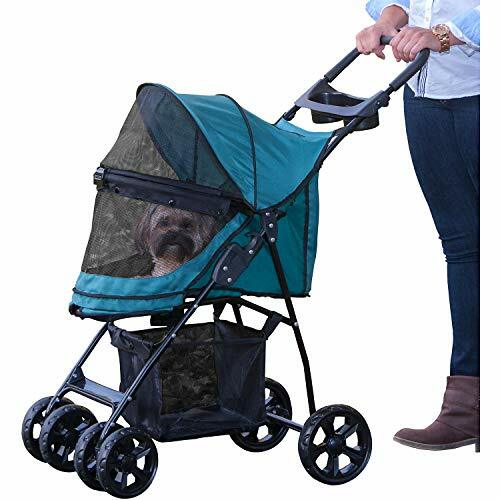 The new panoramic view window allows your pet to remain safe inside of the stroller without missing any sights while you stroll! 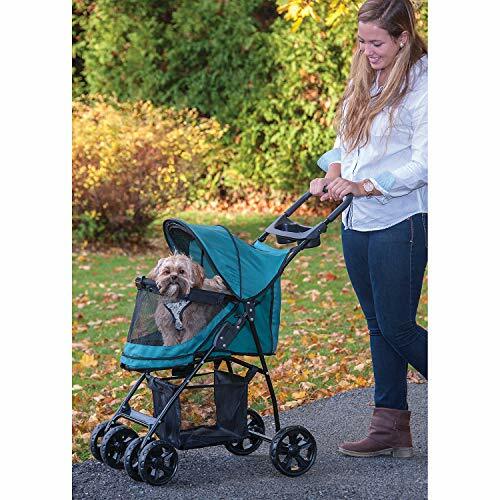 The Happy Trails Lite No-Zip Pet Stroller is suitable for pets up to 25 pounds.